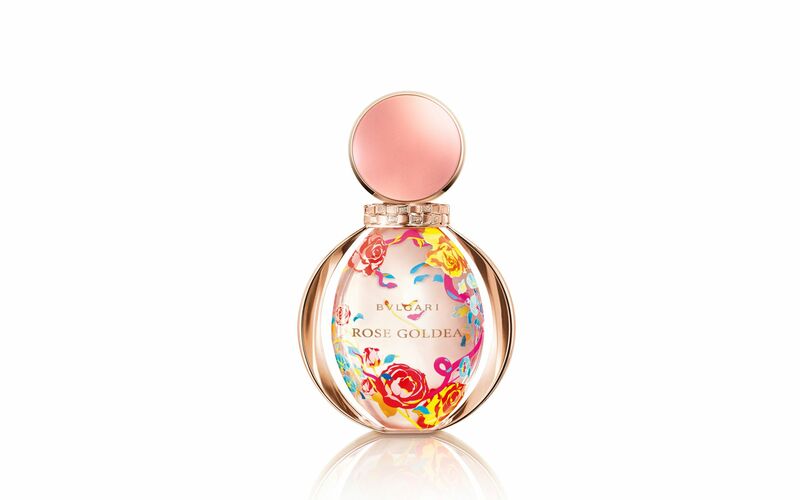 Bvlgari Rose Goldea | This enchanting limited-edition flacon vividly depicts the magical garden of a Roman goddess, the inspiration for this seductive scent. The floral rose musk composition reveals its precious heart: Damask rose absolute and grandiflorum exude a decadent, feminine aroma. Carolina Herrera Good Girl | Commanding attention, this sleek midnightblue glass shoe bottle with a razor thin gold heel captures a new dimension of femininity. The click of a heel captures a paradox: the fresh femininity of jasmine and tuberose combined with mysterious, complex, notes of tonka bean and cocoa. Mr Burberry Indigo | To honour Burberry’s navy trenchcoat, the bold, masculine bottle is topped with a handtied knot and a weighted cap inspired by horn-look buttons. Different shades of blue convey the invigorating citrus freshness of the scent, reminiscent of the crisp air along the British coast. Ferragamo Amo | Dressed in elegant lines replicating those of traditional Italian perfume bottles, the glamorous fragrance is a daring, modern accord of glamour and passion with top notes marked by an Italian bitter with blackcurrant and rosemary. Issey Miyake Pure Nectar | Inspired by a drop of water brushed with radiant rose nectar, this bottle is as pure as its scent. Its pink gold glow embodies the delicate aroma of a honeyed rose melded with creamy sandalwood: a refined blend of fruits and flowers.